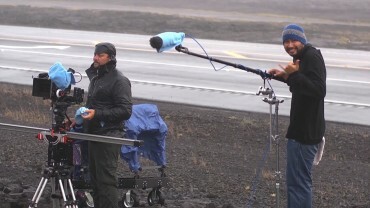 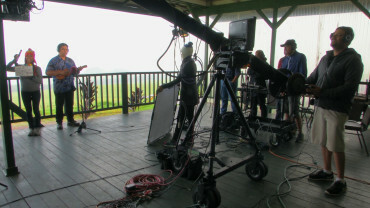 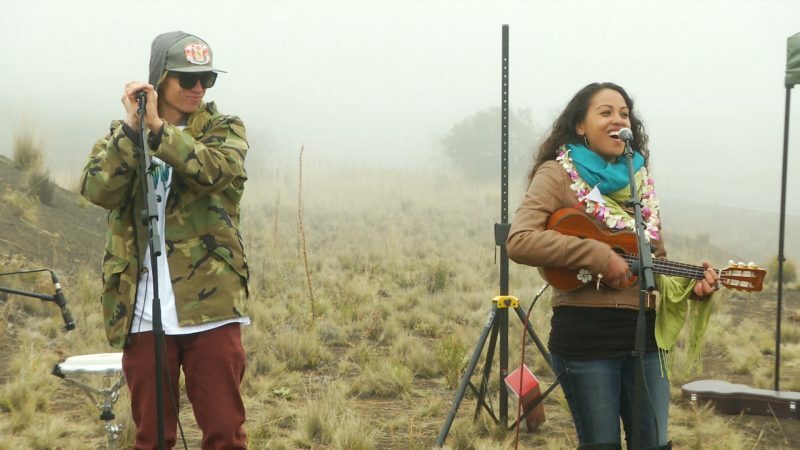 Take a look at some Behind the Scenes footage from the production of Project Kuleana 2. 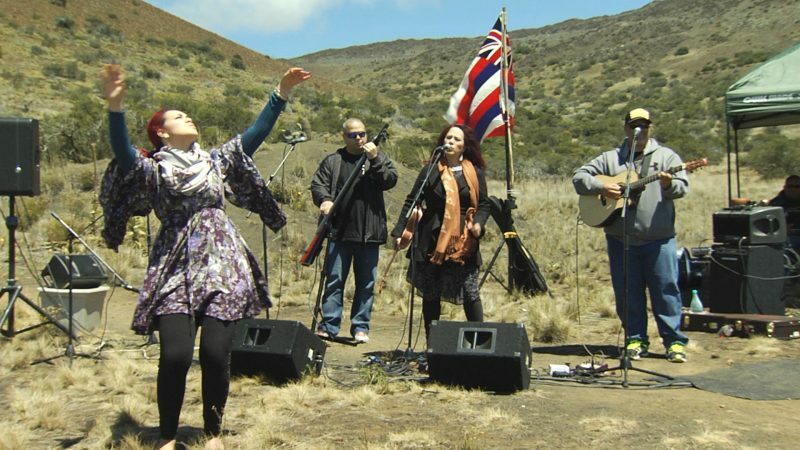 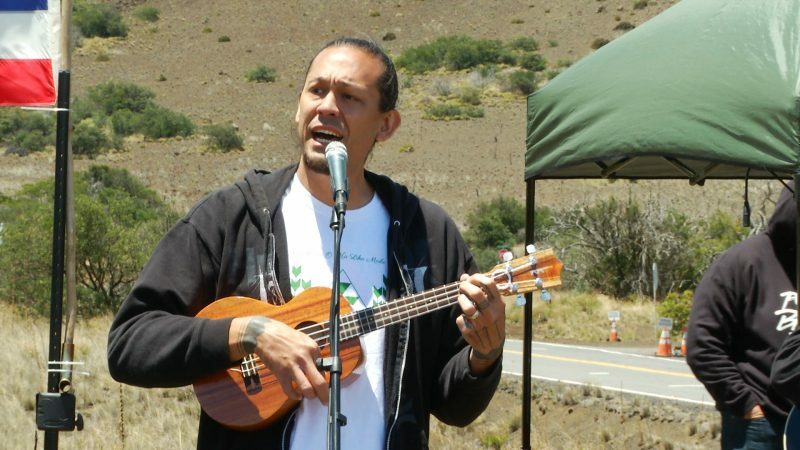 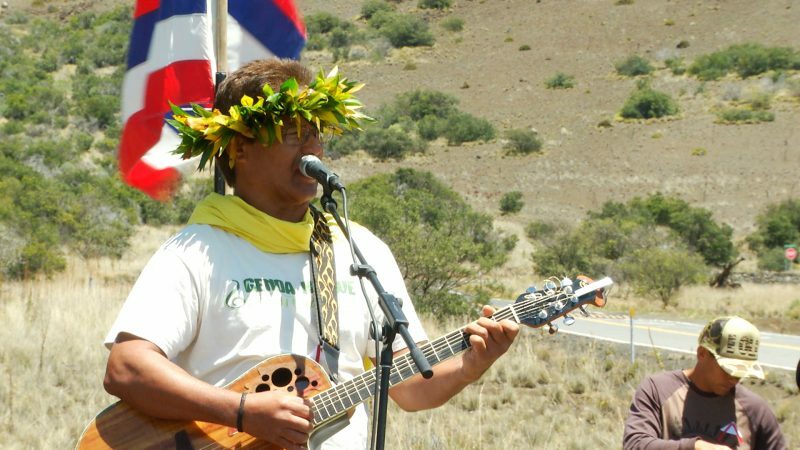 The highlight song of the Maunakea concert was the original composition “Warrior Rising” by Hāwane Rios featuring Lākea Trask. 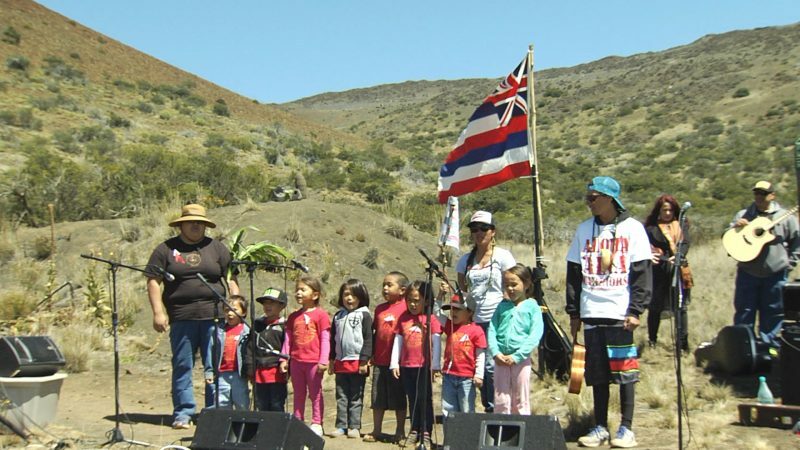 The keiki of Pūnana Leo o Kona sing “Kaulana Nā Pua” for Mele ma ka Mauna. 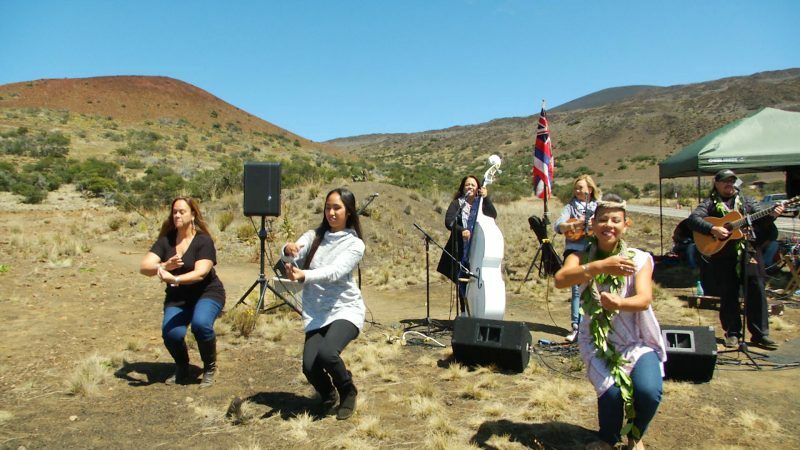 In this segment of Mele ma ka Mauna, Kaleo Keawe sings Ka Makani Kāʻili Aloha followed by Hiʻilawe. This episode of Mele ma ka Mauna features Kapua Francisco singing He Nani Helena and Hula o Makee. 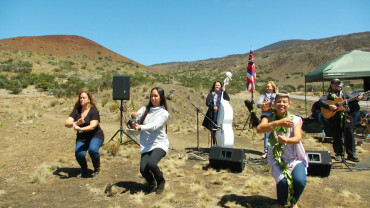 Natalie Ai Kamauu shares two mele for Mele ma ka Mauna. 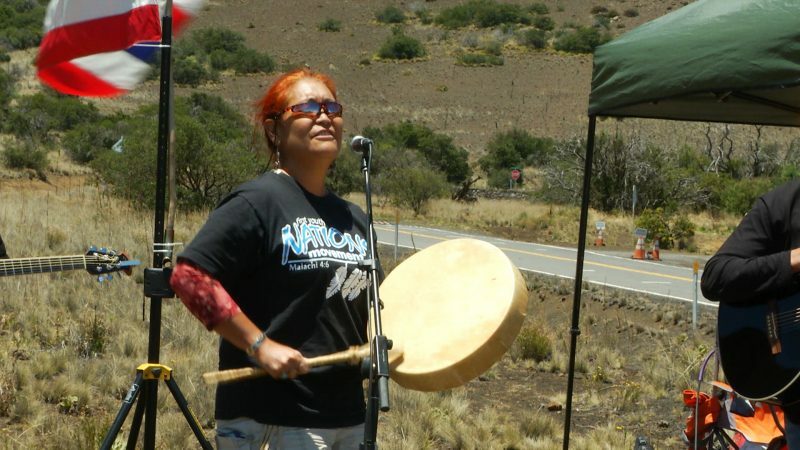 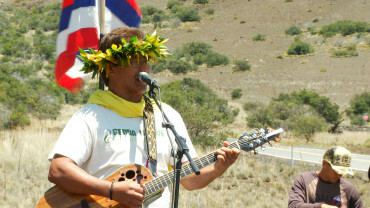 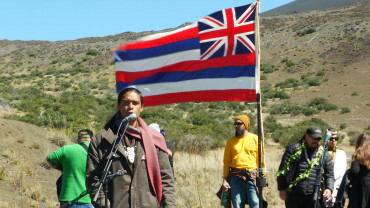 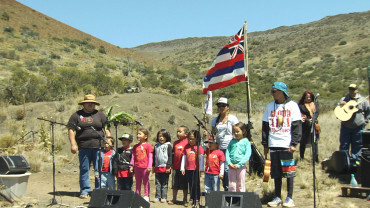 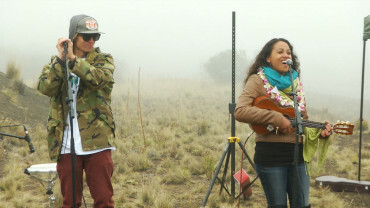 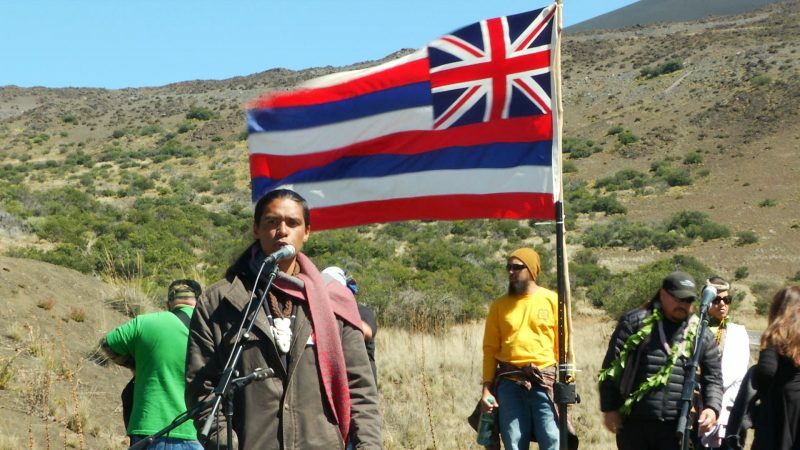 Lanakila Mangauil makes a speech for the crowd during Mele ma ka Mauna on Maunakea.